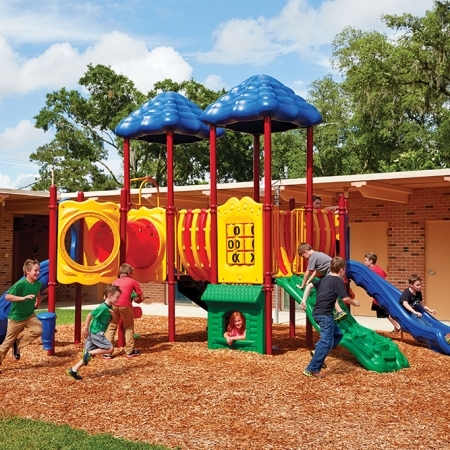 Children of all ages can enjoy the Greenville play structure. 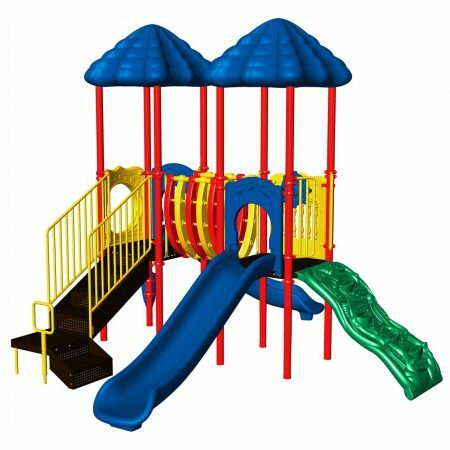 The structure zig-zags as it ascends to the highest elevated platform, which is accessible by a pod climber and has a straight slide attached to it. 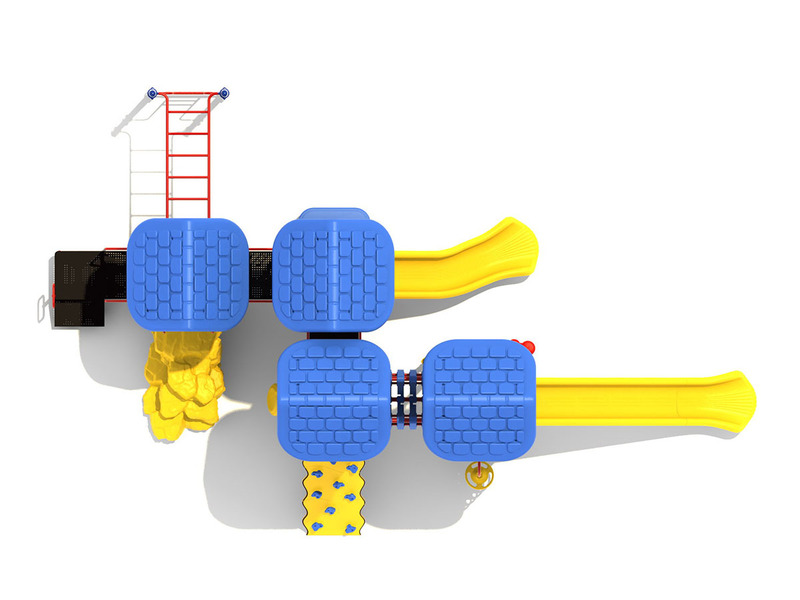 A bones bridge attaches this platform to another same-level platform that has a vertical PE climbing wall attached to it.Down from this platform sits a mid-level elevated platform with a left turn slide attached to it, and down from this platform is the lowest level platform. 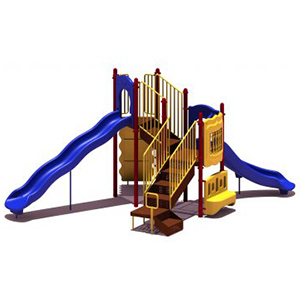 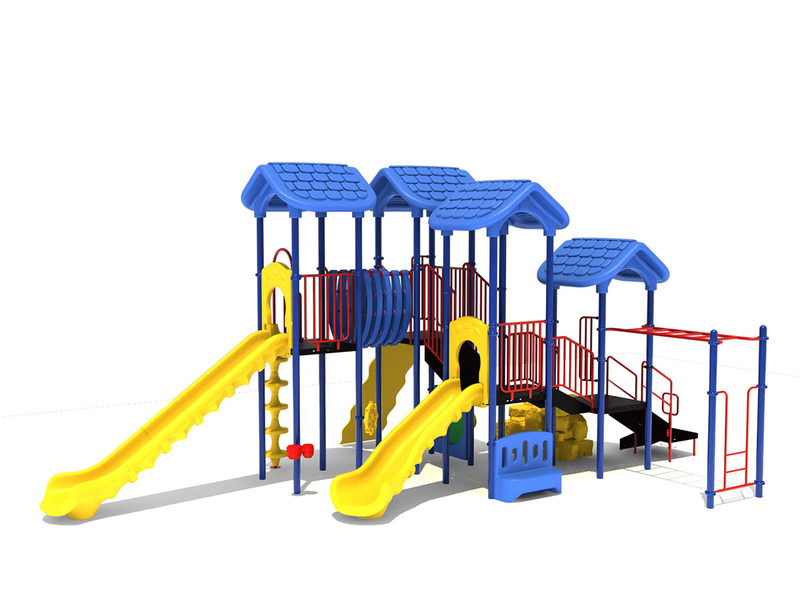 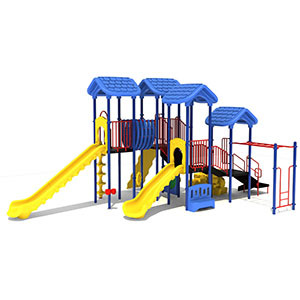 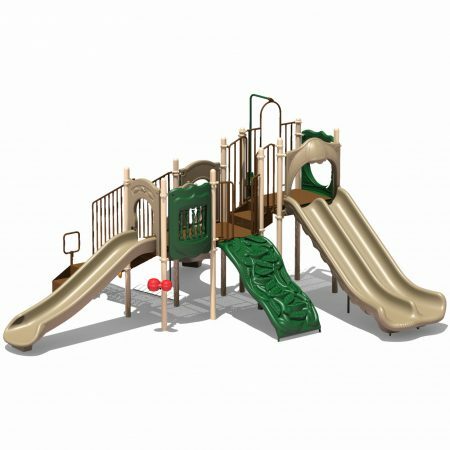 The lowest level platform of the Greenville play structure is accessible by regular stairs, a boulder climber, or an overhead horizontal ladder, which is attached to a vertical ladder. 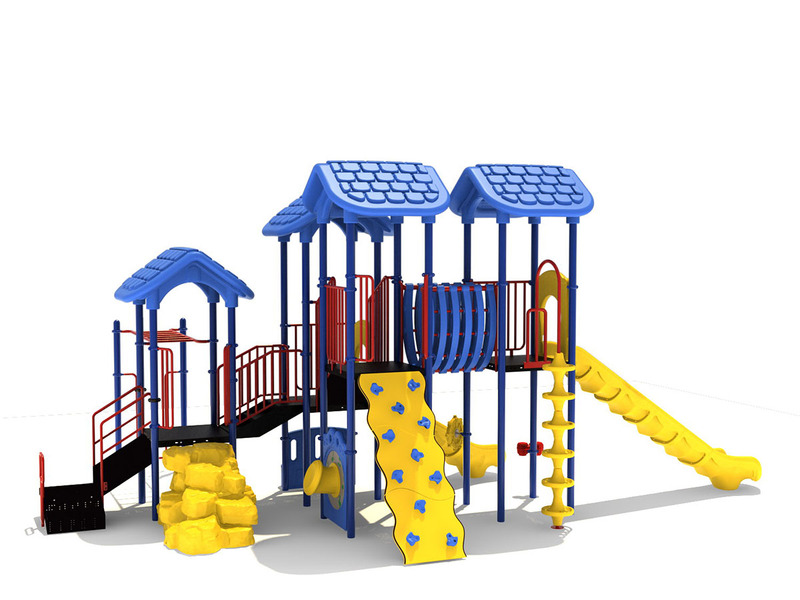 Bongos, a ship’s wheel, and a drum panel make this structure ADA compliant.